If you in Boston, please go see this show for me!!! I'm overjoyed to be part of this show curated by Amy Sudarsky!! 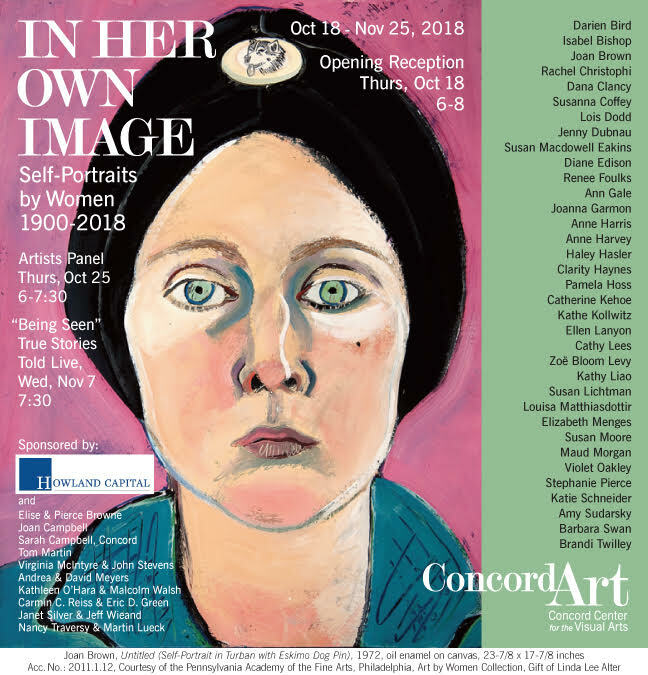 "In Her Own Image: Self-Portraits by Women 1900 - 2018" at the Concord Center for the Visual Arts in Concord, MA. I am so honored to be included in this show along with an incredible roster of artists including Joan Brown, Susanna Coffey, Lois Dodd, Ann Gale, Anne Harris, Catherine Kehoe, Dana Clancy, Susan Lichtman, Stephanie Pierce, Haley Hasler, Louisa Matthiasdottir, Kathe Kollwitz (!! ), and sooooo many other heroine artists of mine!! Show runs from Oct 18 through Nov 25, 2018. Opening reception Thur, Oct 18 6-8pm.